John Bombatch | Greene County News The 2018 Greene County Fair is filled with a variety of entertainment for the family. Connor Ahrman and Lily Ahrman of Xenia participated in the kiddie demo derby July 30. 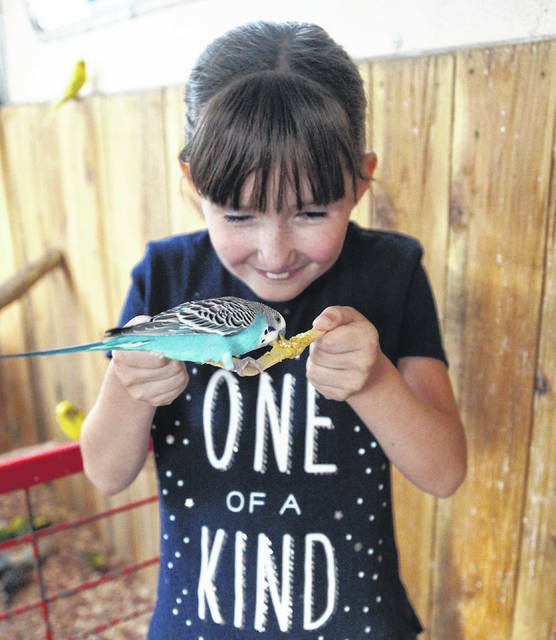 Barb Slone | Greene County News The Greene County Fair offers a Parakeet Experience trailer on the grounds for people to get up close and personal with friendly parakeets. 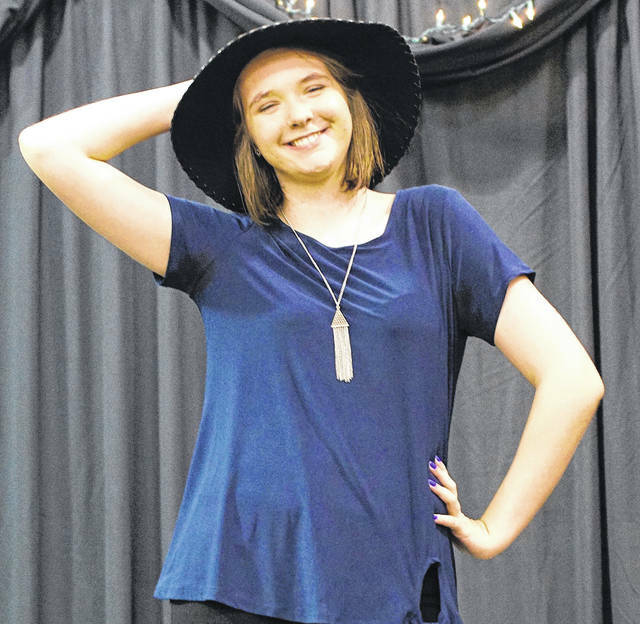 Barb Slone | Greene County News Elizabeth Montgomery shows off her design in the 4H Fashion Revue July 30. 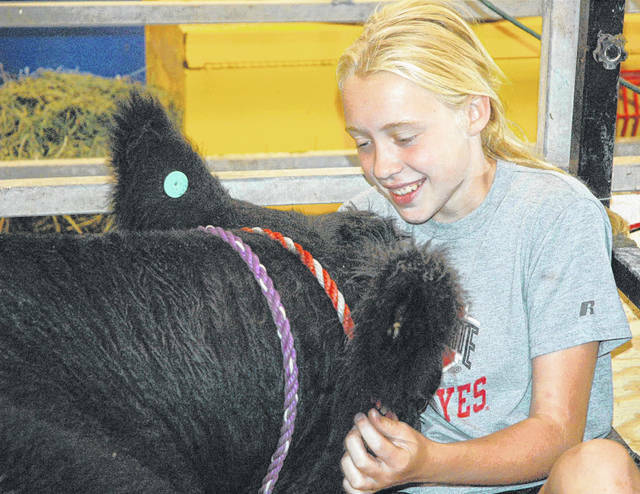 Scott Halasz| Greene County News Molly Mossing with her cow. The 2018 Greene County Fair is filled with a variety of entertainment for the family. Connor Ahrman and Lily Ahrman of Xenia participated in the kiddie demo derby July 30. The Greene County Fair offers a Parakeet Experience trailer on the grounds for people to get up close and personal with friendly parakeets. Elizabeth Montgomery shows off her design in the 4H Fashion Revue July 30. Molly Mossing with her cow. https://www.xeniagazette.com/wp-content/uploads/sites/32/2018/08/web1_kiddemo00.jpgJohn Bombatch | Greene County News The 2018 Greene County Fair is filled with a variety of entertainment for the family. 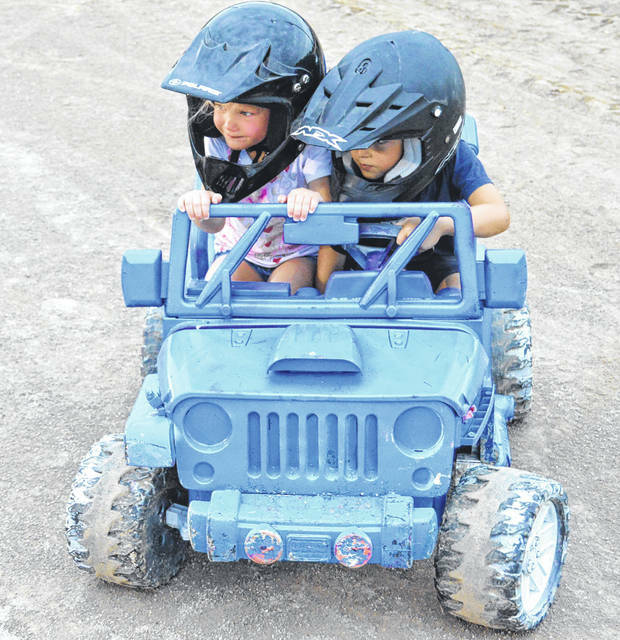 Connor Ahrman and Lily Ahrman of Xenia participated in the kiddie demo derby July 30.
https://www.xeniagazette.com/wp-content/uploads/sites/32/2018/08/web1_parakeet03.jpgBarb Slone | Greene County News The Greene County Fair offers a Parakeet Experience trailer on the grounds for people to get up close and personal with friendly parakeets. https://www.xeniagazette.com/wp-content/uploads/sites/32/2018/08/web1_revueMontgomery.jpgBarb Slone | Greene County News Elizabeth Montgomery shows off her design in the 4H Fashion Revue July 30.
https://www.xeniagazette.com/wp-content/uploads/sites/32/2018/08/web1_wildfungirlcow.jpgScott Halasz| Greene County News Molly Mossing with her cow.